Once a purveyor of fashion to Her Majesty Queen Victoria, Holt Renfrew began in 1837 as a modest hat shop. Now an iconic leader in the fashion industry, Holt Renfrew has been recognized worldwide for an inspired shopping experience for over 180 years. They were referred to us when looking to partner with a total solutions provider that could produce and install their 2017 Holiday campaign “Bearing Gifts”. Once a purveyor of fashion to Her Majesty Queen Victoria, Holt Renfrew began in 1837 as a modest hat shop. Now an iconic leader in the fashion industry, Holt Renfrew has been recognized worldwide for an inspired shopping experience for over 180 years. In addition to the top designer brands offered at all their locations across Canada, Holt prides themselves in the customer experience by offering a full service to their clients such as; Concierge, Holt Café, Personal Shopping, Valet Parking, and Tailoring for all your needs. Holt Renfrew contacted BGI Retail after a referral from one of BGI's largest clients. They were interested in partnering with a total solutions provider that could produce and install their 2017 Holiday campaign “Bearing Gifts”. The design was created by a third party firm and provided to BGI. 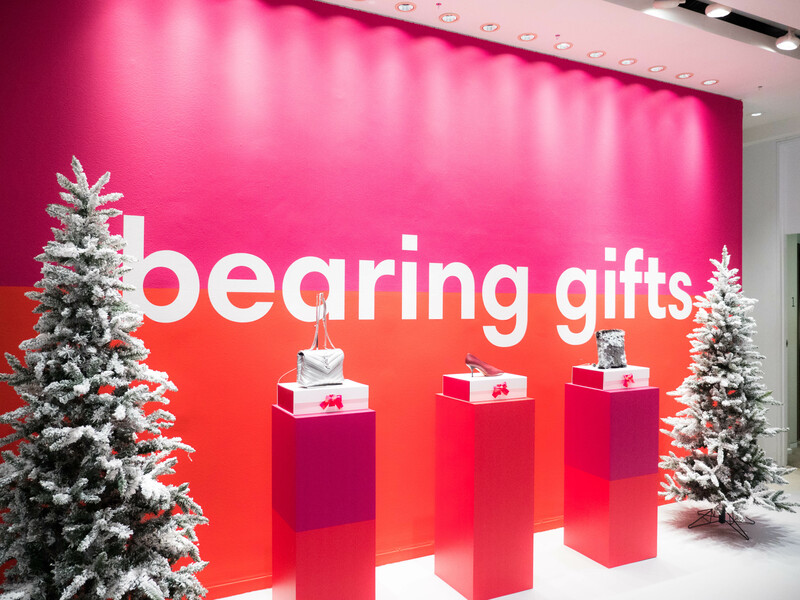 This design included window displays and in store props for their holiday campaign consisting of sculpted polar bears, backlit LED letters, laminated podiums, large mirror balls, and a lot of custom printed vinyl. When Holt Renfrew first contacted BGI, they were impressed with the amount of services provided in one location as well as our in house national install teams that could then install the products that BGI designed, and fabricated. This made for a seamless transition for Holt Renfrew to begin working with BGI on their projects. BGI rose to the challenge and 12 weeks after the design was presented to BGI, the installation was complete and their holiday campaign launched to the public. Since the initial meeting with Holt Renfrew, BGI has had the opportunity to work on multiple projects including their 180th Anniversary campaign. It was a pleasure to be part of such a milestone for Holt Renfrew and we look forward to working with their team on projects to come. 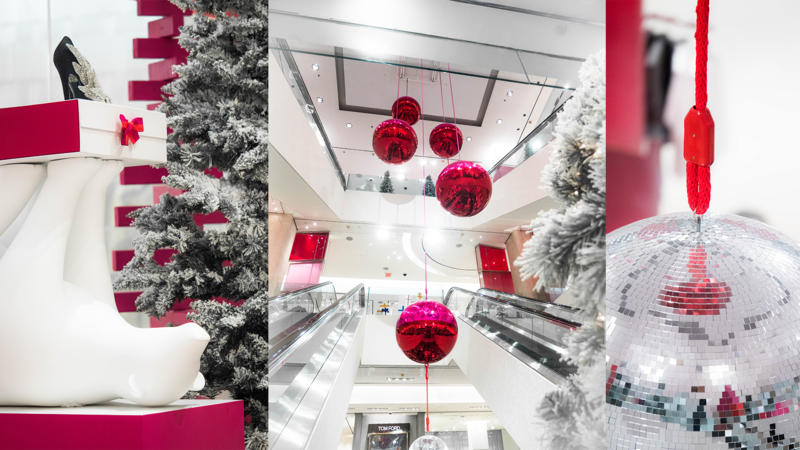 Toronto Life voted Holt Renfrew's polar bear podiums in the top 5 "downtown Toronto's best holiday window displays - 2017"!